Most fans and pundits would likely describe the start to Pittsburgh's offseason as, at best, peculiar. In firing Ray Shero and (temporarily) retaining Dan Bylsma, the club bucked a response that many assumed would be a foregone conclusion. - Jason Botterill: Perhaps the most obvious candidate, Botterill represents a sharp, up-and-coming executive. But would someone who worked under Shero for more than half a decade differentiate himself enough from a regime that fell out of favor? - Julien BriseBois: After working under Steve Yzerman in Tampa, BriseBois is trending toward earning a G.M. position of his own. But he lacks experience as the guy. Could that hinder him in his effort to right a Pens' ship consistently under the microscope? - Pierre McGuire: Well, that can pretty much be summed up here. As the calendar turned to June, questions morphed into doubts as the hockey world wondered what the hell was going on in Pittsburgh. And, then, the Penguins finally pulled the trigger, bringing in...Jim Rutherford? Some questioned the decision, others ripped it and some simply perceived it as nothing more than a lateral move. As the reality of the transition from one G.M. to another set in, though, people naturally began comparing the two, examining each man's history in terms of drafts, trades, etc. On the surface, it seems like a perfectly logical reaction. But, ultimately, those comparisons are completely irrelevant. The second the Pens decided to move on from Shero's vision, the former G.M. 's services transformed into nothing more than a sunk cost in Pittsburgh. Now, to be clear, that's not to take away from any of Shero's many achievements. The various trades he orchestrated that served to fleece his peers, the back-to-back Stanley Cup Final appearances and the '09 championship will forever live in Penguins' lore. But Shero's accomplishments, his attributes (and deficiencies), no longer bear significance with regards to the franchise's future. So, rather than comparing Shero and Rutherford's track record, the focus should center on if and how Rutherford will help Pittsburgh rediscover the path to a fourth Stanley Cup title. Critics will quickly point to the fact that Rutherford's Hurricanes missed out on the postseason in each of the last five seasons, the curious Alex Semin contract and what many perceive as a questionable deal with these very Penguins that reunited (some of) the Staal brothers in Carolina. Fair enough; those are all legitimate criticisms. But, again, they all stem from the past. 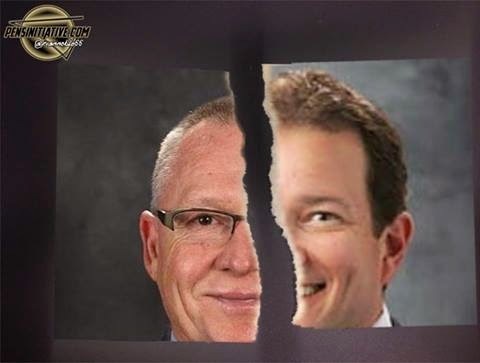 As a result of the change in scenery, however, Rutherford finds himself presented with a new opportunity with new circumstances, a chance to lead a second franchise to the pinnacle of hockey. Rather than tackling the arduous task of serving as president and general manager (a dual role that wore on him in Carolina), Rutherford will oversee a trio of sharp, young managers who will assist the new G.M. Instead of employing an injury-prone goaltender whose absence often leaves the team scrambling for answers in net, Rutherford inherits a goalie who annually produces 35-40 wins. He will transition to an organization accustomed to spending to the cap limit, a squad with annual Stanley Cup aspirations. Oh, and he'll have an opportunity to build around two of this generation's finest players. Sure, challenges abound; question marks exist. Balancing the plethora of free agents and a lack of depth up front with the need to remain cap compliant will prove a tricky balancing act. Fellow general managers will circle like sharks, gauging Rutherford's interest in shaking up an underachieving roster. A coach needs to be named. Rutherford, however, will enjoy access to more resources, more talent, than he ever could have dreamed of in Carolina. What he does with it will determine how much success Pittsburgh finds in a new era of Penguins' hockey.